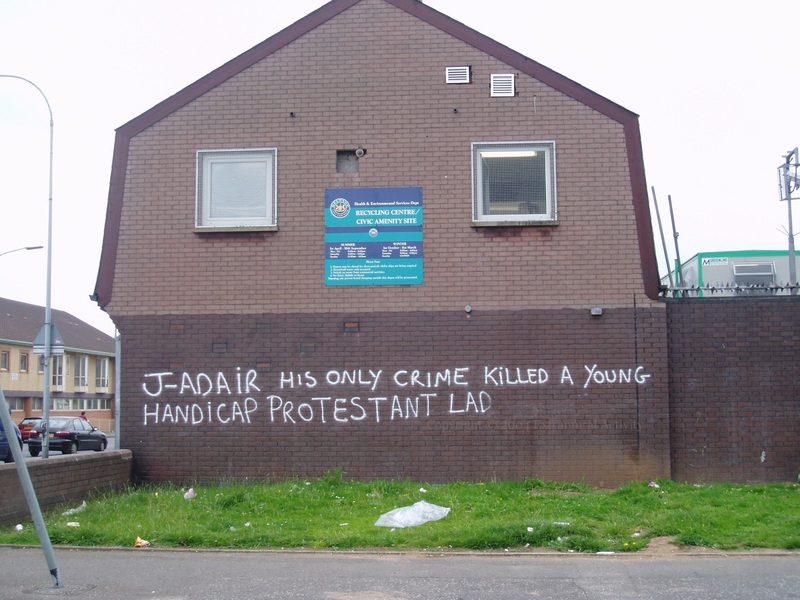 More graffiti referencing Johnny Adair: “J-Adair his only crime killed a young handicap Protestant lad”. The “lad” in question was Noel Cardwell, who had a mental age of 12. His crime was to tell the RUC the names of two men who had spiked his drink; they were UDA and friends of Adair. He was beaten and shot in the head (Sunday Mirror). Adair denied involvement and was not charged with the killing when arrested on charges of directing terrorism. Huss Row, Belfast.